The local men rounded up 30 wild horses and mules from the surrounding savannah in the plains of Venezuela and forced them into a muddy pool of water filled with electric eels. It was March 19, 1800, and Alexander von Humboldt, a Prussian explorer, naturalist and geographer, was intent to conduct an open-air experiment on the power of the eels’ shock. He and his retinue watched as the fish emerged from their muddy refuge in the bottom of the pond and gathered on the surface of the water. The eels shot electric shocks, and within a few minutes, two of the horses were already stunned and drowned. 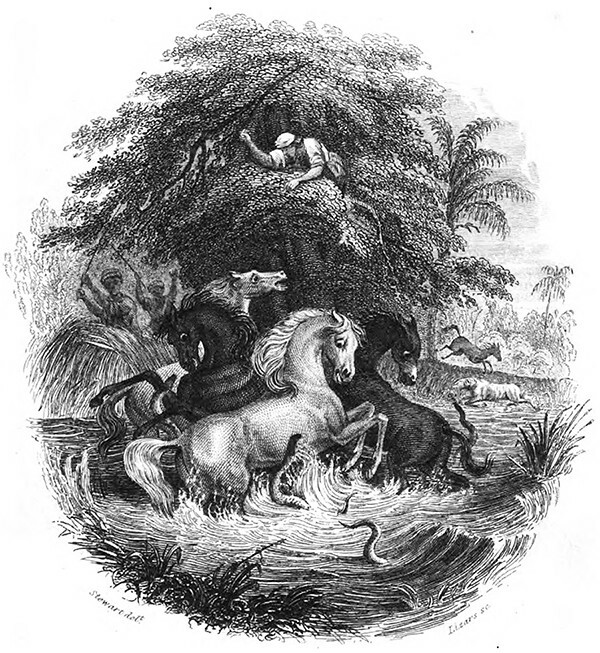 While it’s a pivotal point of the second volume of von Humboldt’s Personal Narrative of Travels to the Equinoctial Regions of America During the Years 1799-1804, the sensationalist nature of the explorer’s account and the related illustration have raised eyebrows among most modern eel biologists. “It’s what you might call a great fish story from [von Humboldt’s] adventures in South America,” says Kenneth Catania, a professor of biological sciences at Vanderbilt University and the author of a new study published in the Proceedings of the National Academy of Sciences. As we rethink our sushi orders, we might send aquatic birthday greetings to Sir John Arthur Thomson; he was born on this date in 1861. 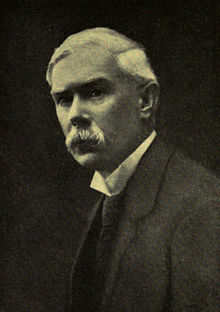 A naturalist and Professor of Natural History at Aberdeen University in Scotland, Thomson was his time’s leading expert in the marine life of his region. He authored many books, some academic accounts of his biological research, others aimed at popularizing science (The Outline of Science was a best-seller) or at reconciling science and religion. And he gave the prestigious Gifford Lecture in 1914 and 1916 (an honor that he has shared, over time, with William James, Alfred North Whitehead, John Dewey, Henri Bergson, Karl Barth, Paul Tillich, Hannah Arendt, Niels Bohr, Freeman Dyson, and Steven Pinker, among others).